It seems that the DC quick-charging port will be an optional extra on the 2017 Chevy Bolt EV, but it's a necessary investment to future-proof the car for the day when charging is pervasive throughout the country. The 2017 Chevrolet Bolt EV could become the first mainstream electric car, with a 238-mile range and a base price in the high $30,000s before incentives. The 2017 Chevrolet Bolt EV is the first mass-market electric car to offer more than 200 miles of range, a capability so far provided only by vehicles that carry Tesla badges and cost $70,000 or more. It's a tall hatchback that packs the passenger volume of a mid-size car into the footprint of a compact, and it has the potential to be the first vehicle to bring electric cars into the mainstream—or at least close. 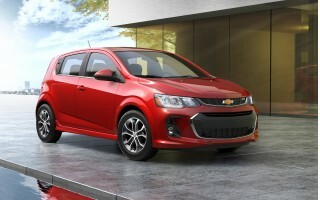 Two trim levels are offered: base LT and high-end Premier. Shown as a concept at the 2015 Detroit auto show, the Chevy Bolt EV was developed in record time by a close partnership between General Motors and battery maker LG Chem. The Korean company LG developed not only the 60-kilowatt-hour battery pack, but also several other powertrain components—and the digital dashboard displays too. The lines of the 2017 Bolt EV work well to disguise its shape, a fairly upright and tall hatchback with a rising window line. A blanking-plate "grille" at the front is similar to that of the Chevy Volt plug-in hybrid, and the Bolt EV's body creases give it a racier look than its basic profile indicates. With its wheels pushed out to its corners, the Bolt EV appears smaller than it really is, perhaps because of its height. Chevy's engineers have excelled at maximizing interior volume, which is given as 94.4 cubic feet, against 92.4 cubic feet for a Nissan Leaf and 94 cubic feet for the much larger Tesla Model S. The light and airy cabin allows four adults to sit comfortably, though the "five-passenger" description is pushing it. All occupants sit high and upright, and the flat floor and a slim dash and console make the front footwells especially wide. The deep cargo bay has a false floor that matches the level of the fold-flat rear seat back, hiding a storage compartment underneath. Sliding it out gives several extra inches of load height. The dashboard has a fully digital 8.0-inch instrument cluster behind the steering wheel and a 10.2-inch color touchscreen built into the top of the central console. The displays use thin fonts on a bright white background, making them easily legible and sophisticated at the same time. Another high-tech feature is GM's new digital rearview mirror, which uses a rear-facing camera to give a wide 80-degree image in the digital display that replaces the mirror glass. The big flat 60-kwh lithium-ion battery pack sits under the floorpan, and sends electricity to a motor that powers the front wheels. That motor is rated at up to 150 kilowatts (200 horsepower) of peak power, and 0-to-60-mph acceleration is less than 7 seconds, Chevy says. The Bolt accelerates confidently even with four adults in the car, and corners relatively flat on its 17-inch alloy wheels. We heard only occasional motor or electronics whine, and the brake feel was consistent enough that we didn't feel any transitions between regenerative and friction braking in our two laps. Commendably, the Bolt EV offers two distinct drive modes. The normal Drive mode on the “gear selector” lever behaves just like a car fitted with an automatic transmission—complete with idle creep when the car is stopped. Many drivers will soon learn the appeal of the alternative Low range, which increases regenerative braking considerably. It will, in fact, slow the car to a complete stop without using the brakes at all. The Bolt EV's onboard charger operates at up to 7.2 kilowatts. A portable 120-volt charging cord is housed under the load bay, but Chevy expects most Bolt drivers to recharge the large battery pack using 240-volt Level 2 charging stations, mostly overnight at home. GM quotes a charging rate of "50 miles in less than 2 hours" using Level 2, while a full recharge will take about 9 hours. The Bolt EV will also include an optional CCS fast-charging port, which GM says will provide "90 miles in 30 minutes." It's an option we strongly feel every buyer should choose. As for safety, neither the NHTSA nor the IIHS has crash-tested it yet, though. From the driver's seat, the vision to the front over the short nose is exceptional, which will make the Bolt easy to park. 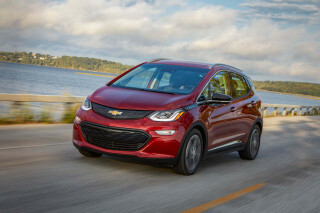 The Bolt EV is built on a dedicated architecture for electric cars, though a few suspension components and accessories are shared with other GM vehicles. Chevrolet says it's confident the Bolt EV will earn the highest safety ratings available. The 2017 Chevrolet Bolt EV carries a base price of $37,495 for the LT model, including destination charge. The Premier model starts at roughly $42,000. Both versions qualify for a $7,500 federal income-tax credit, and a $2,500 purchase rebate from the state of California. The Bolt also gets the coveted "white sticker" for single-occupancy use of California carpool lanes on freeways. While the battery pack, motor, and drive unit are manufactured in Inchon, South Korea, all Bolts will be assembled in Orion Township, Michigan. 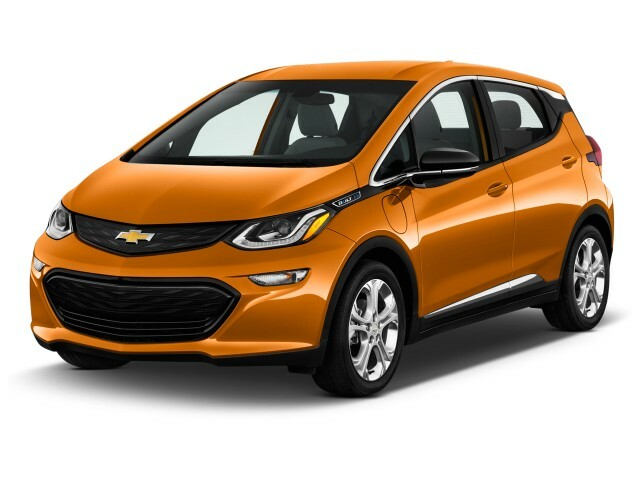 The first Bolt EVs are expected to be delivered very late in 2016. 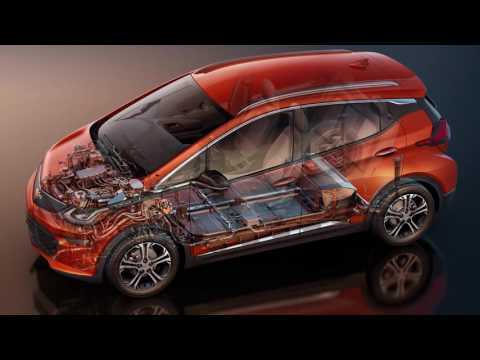 The 2017 Chevrolet Bolt EV is an upright five-door hatchback that uses design flourishes to disguise its basic shape, which wraps an attractive interior that's startlingly large. The design cues of the 2017 Bolt EV are similar to those of other Chevy small cars, including the new Spark and the aging Sonic. Its blanking-plate "grille" at the front is similar to that of the Chevy Volt plug-in hybrid, in silver or black, for instance. Otherwise, the Bolt EV is a fairly upright and tall hatchback with a rising window line, body creases, and other touches that give it a racier look than the basic profile would indicate. Perhaps because of its height, the Bolt EV appears smaller than it really is, perhaps because the wheels are pushed out to its corners. The EPA classifies the 2017 Bolt EV as a "small wagon," though some onlookers would call it a five-door hatchback and Europeans might see it as a "Multi-Purpose Vehicle" or small minivan. GM prefers to call it a crossover, incidentally, although with neither the option of all-wheel drive nor the ground clearance for any kind of off-roading, we feel the Bolt lacks crucial qualifications for a utility vehicle. But crossovers are all the rage these days, so perhaps the company can't be blamed for trying. The 2017 Chevrolet Bolt EV accelerates, handles, and corners well, though its 238-mile range rating is the real lure. The Bolt EV's powertrain is simple: a big, flat 60-kilowatt-hour battery pack sits under the floorpan, and sends power to an electric motor driving the front wheels. That motor is rated at up to 150 kilowatts (200 horsepower) of peak power, and up to 266 lb-ft (360 newton-meters) of torque. GM quotes 0-to-60-mph acceleration of less than 7 seconds. We spent six hours behind the wheel of a pre-production Bolt EV, logging 240 miles along California coastal roads and freeways at varying speeds and elevations. Our drive largely depleted the battery, but other drivers who babied their cars along the same route arrived with as much as 25 miles left. In other words, the EPA-rated 238-mile range is not only real, but can be improved on with careful attention to efficient driving. Even with four adults inside, the Bolt accelerates confidently, and drivers can chirp the inside front tire under full power out of a turn. It corners relatively flat on its 17-inch alloy wheels, and the steering had a nice positive self-centering action. We heard only occasional motor or electronics whine, and the brake feel was consistent enough that we didn't feel any transitions between regenerative and friction braking in our two laps. Commendably, the Bolt EV offers two distinct drive modes. The normal Drive mode on the “gear selector” lever behaves just like a car fitted with an automatic transmission—complete with idle creep when the car is stopped. Many drivers will soon learn the appeal of the alternative Low range, which increases regenerative braking considerably. It will, in fact, slow the car to a complete stop without using the brakes at all. 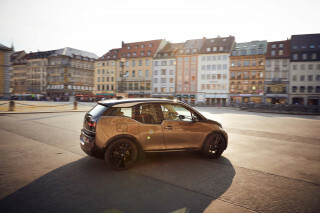 That's the vaunted “one-pedal driving” launched by the original Tesla Roadster, and now available only in the BMW i3. It's simply a smoother, calmer, and easier way to drive. The Bolt EV's onboard charger operates at up to 7.2 kilowatts. A portable 120-volt charging cord is housed under the load bay, but Chevy expects most Bolt drivers to recharge the large battery pack using 240-volt Level 2 charging stations, mostly overnight at home. GM quotes a charging rate of "50 miles in less than 2 hours" using Level 2, while a full recharge will take about 9 hours. The 2017 Chevy Bolt EV has the passenger volume of a Tesla Model S, comfortable seats, and high-tech but legible displays, let down only by some economy-car materials. The cabin of the Bolt EV is light and airy inside, and the thin front seats provide an extra inch of leg room for rear-seat riders. The seats are comfortable, and all occupants sit upright, much higher than they do in the more rakish Chevy Volt plug-in hybrid. The flat floor and a slim dash and console make the front footwells especially wide. Four adults can sit comfortably, though the "five-passenger" description is pushing it. The deep cargo bay has a two-level floor. At its highest level, it matches the level of the fold-flat rear seat back, providing a hidden compartment underneath. Or you can slide out the false floor, which also tilts into a slot just behind the rear seat back, to gain several extra inches of height for taller items. The dashboard has both a fully digital 8.0-inch instrument cluster behind the steering wheel and a central 10.2-inch touchscreen display built into the top of the console. The user-configurable displays use thin fonts on a bright white background, looking more like a mobile website for swiping than old-school automotive instruments. The Bolt EV also offers GM's new digital rearview mirror, with a rear-facing camera that gives a wide 80-degree image in the crisp digital display that replaces the mirror glass. The Chevy Bolt EV should achieve top safety ratings, GM says, although adaptive cruise control isn't offered at any price. Chevy's electric car has ended up using a dedicated electric-car platform, though it shares a few suspension components and accessories with other GM vehicles. The lack of an engine and transmission up front required some innovative crash engineering in the stubby nose, its engineers said. Crash forces are absorbed and diverted around the passenger compartment by a lower cradle holding the traction motor and driveline, plus an upper cradle that contains the power electronics. Each is attached at four different points, and multiple design iterations for both were necessary to provide the needed frontal and transverse energy transfer and absorption to allow the car to earn the highest safety ratings—which GM is confident it will. From the driver's seat, the vision to the front over the short nose is exceptional, which will make the Bolt easy to park. The Bolt EV also offers GM's new digital rearview mirror, with a rear-facing camera that gives a wide 80-degree image in the crisp digital display that replaces the mirror glass. It's uncluttered by rear-seat headrests or roof pillars, and compares to a mere 22 degrees for a conventional mirror. We did notice some glare off the highly polished surface, however. The 2017 Chevy Bolt EV offers at least a few features, like the digital rear-view mirror, that are unusual in its class—but DC quick-charging for the battery will cost extra. Every Bolt EV comes standard with high-intensity discharge headlamps and LED daytime running lights, a rear-view camera, a 60/40 split folding rear seat back, the regen-on-demand paddle behind the left side of the steering wheel, automatic climate control, two USB ports, an 8.0-inch driver information center between the instruments and a 10.2-inch color touchscreen in the center of the dash. The Bolt EV is the first car on the market to use the latest development of Michelin's self-sealing tire technology, which eliminates not only a spare tire but even the usual inflator kit for flats. Owners will only know their tire has picked up three nails, for instance, when it's removed at the end of its life. The LT version of the Bolt EV starts at $37,500, including a mandatory destination fee, and comes with 17-inch painted aluminum wheels and a six-way manually adjustable front seat. Three options specific to the LT are available. A $555 comfort and convenience package adds heated front seats, a heated leather-wrapped steering wheel, and an auto-dimming rear-view mirror. A $495 safety package dubbed Driver Confidence I includes blind-spot monitors, lane-change alert, rear cross-traffic alert, and rear parking assist. The Bolt EV Premier starts at almost $42,000. It includes "ultra-bright" machined 17-inch aluminum wheels, roof rails, turn signals in the door mirrors, and surround-view in the center dash display. The various features of the LT's two option packages are standard on the Premier, along with leather seat upholstery, heated seats for the rear, a false cargo floor that hides a compartment below, and light piping in the interior. It also includes GM's new digital rearview mirror, with a rear-facing camera that gives a wide 80-degree image in the crisp digital display that replaces the mirror glass. Two option packages are offered on the Premier alone. A $485 infotainment package bundles a premium audio system, two more USB ports for the rear seats, and wireless device charging in the console. And the $495 Driver Confidence II package adds forward-collision alert with pedestrian detection, low-speed automatic emergency braking, lane-departure warning with lane-keeping assist, and automatic high beams. Two options are available on both trim levels. Metallic paint in red, blue, or orange is $395. But the most important option—one every buyer should specify on either trim level—is the DC fast-charging port, which costs $750. 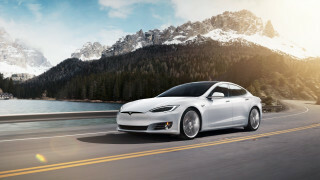 It uses the Combined Charging System (CCS) protocol adopted by all U.S. and German makers except Tesla. It makes the Bolt EV practical for longer road trips, and also eases charging for buyers who live in apartments or other multiple dwellings. Adaptive cruise control is not offered on the Chevy Bolt EV. Not only is the 2017 Chevy Bolt EV fully electric, with no emissions at all, it's the first mass-priced electric car to deliver more than 200 miles of range. GM says the optional DC fast-charging connector will provide "90 miles in 30 minutes," using today's CCS charging stations, which have a maximum output of 50 kilowatts. Unlike BMW, Nissan, and Volkswagen, however, GM executives say the company has no plans to fund the installation of fast-charging infrastructure across the country—a contrast to Tesla, with its nationwide network of Supercharger sites. Possibly the best car I've ever owned! The only thing wrong with the Bolt are the uncomfortable front seats. The designer must have been a real Tighta$$! 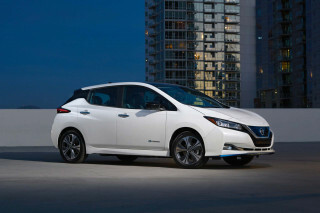 Frequently >250 miles on a single charge, great acceleration and handling, roomy interior... The only thing wrong with the Bolt are the uncomfortable front seats. The designer must have been a real Tighta$$! 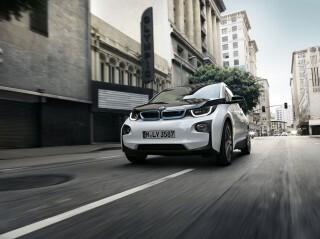 A step ahead from any existing electric cars. The interior is minimal and many features are difficult to use but the milage, power and stability make it fun to drive. 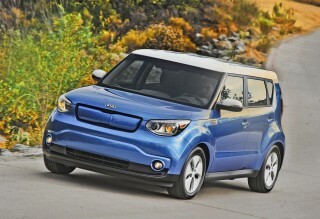 With it's long range, it's the best available electric car at this time. The worst... The interior is minimal and many features are difficult to use but the milage, power and stability make it fun to drive. 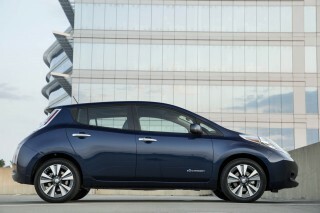 With it's long range, it's the best available electric car at this time. The worst features are the seats which are too narrow and the charging settings which do not have a simple easy start and stop time feature. Instead you must set up electric rate times and departure times and allow the car to charge as it feels best. There is no navigation feature instead relying on navigation apps and your phone to guide you.